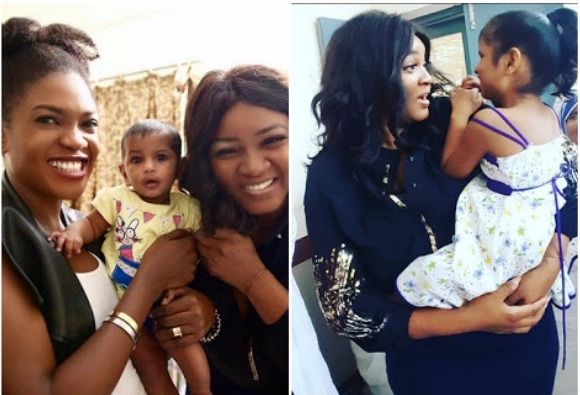 Popular Actresses, Omotola Jalade and Omoni Oboli are in India for an event concerning the movie industry called "Meet Bollywood Event" and the pair decided to visit the Mother Teresa Orphanage Home, Ahmedabad, India. Omotola in a caption on Instagram said ‘I am an Orphan myself and know the discomfort of feeling alone. The most times these kids smile is when they get visits and gifts’.